Ibiza Home is a wonderful children’s lounge area by Nobodinoz. Each little playhouse frame is made with environmentally sound FSC certified beech wood and the canopies are made with OEKO-Tex certified fabrics, meaning there’s no harmful or illegal chemicals in the fabrics. The entire playhouse is solid, safe and can be easily assembled in just 15 minutes — and will lead to hours of creative play for your little ones. 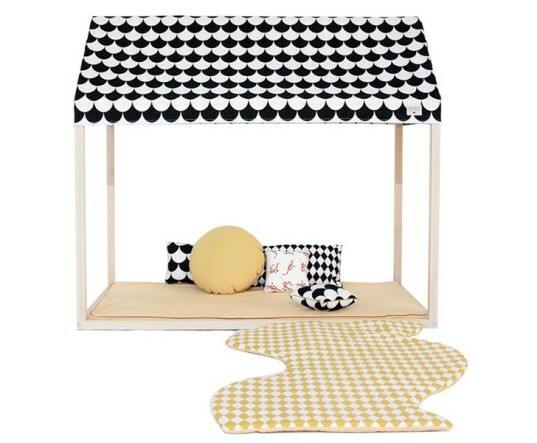 Ibiza Home is sized just right for young children at 66cm x 126cm x 113,5cm. 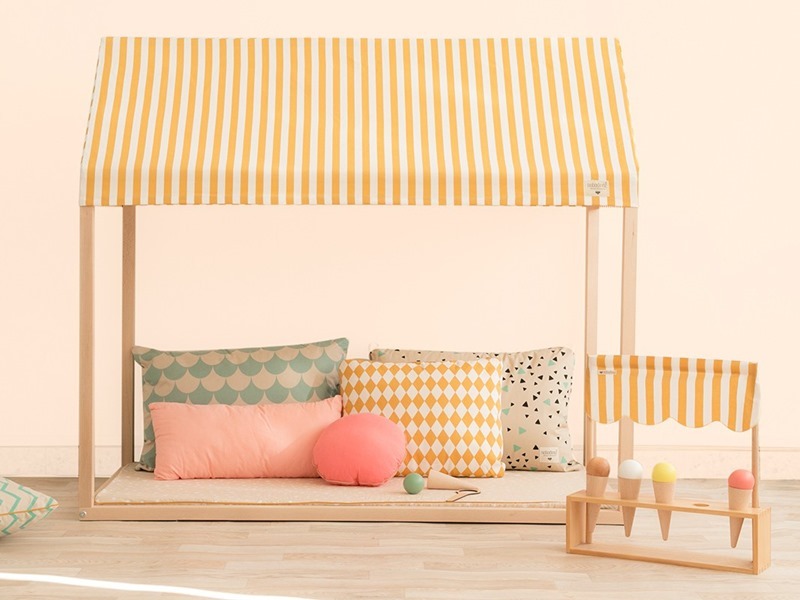 You can choose your canopy style from a dizzying array of 20 original patterns and colors, so you’re sure to find one perfect for your child’s space. With its cheerful and functional design, the house offers endless possibilities for free play and relaxation, especially when paired with cushions and the Nobodinoz Saint Tropez mattress. Although Ibiza is designed in Barcelona and made in Spain, Nobodinoz ships worldwide! Ibiza Home is a wonderful children�s lounge area by Nobodinoz. Each little playhouse frame is made with�environmentally sound FSC certified beech wood and the canopies are made with OEKO-Tex certified fabrics, meaning there's no�harmful or illegal chemicals in the fabrics. The entire playhouse is solid, safe and�can be easily assembled in just 15 minutes -- and will lead to hours of creative play for your little ones.